I’d like to introduce you to some of the best Christmas cookies I’ve ever made. And there’s nothing about this cookie really screams “Christmas,” except I first made them for the cookie exchange I attend every year. And it’s December and the start of the beautiful winter citrus season. And these cookies make my house smell really, really amazing and they make me really, really happy. Like Christmas morning. And to think, this recipe started with one of my least favorite cookies ever: the sugar cookie. These cookies, though? With a triple-punch of grapefruit, they are completely incapable of smelling anything but amazing. 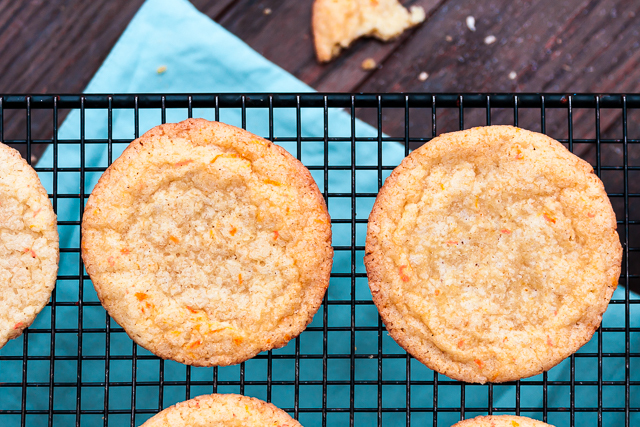 These perfectly chewy cookies are crispy along the outside edge and chewy in the center. The dough is infused with grapefruit sugar and a grapefruit juice reduction and then they are rolled in more grapefruit sugar. Have a safe and Merry Christmas! We’ll see you back here next week with some great appetizer and cocktail ideas for New Year’s Eve. *Choose grapefruit that have skin with pretty red-orange blush. You will use the zest from all 3 grapefruit and the juice from 1/2 grapefruit. Might I recommend juicing the remainder of the grapefruit for grapefruit margaritas? Preheat oven to 375 and line 2 large baking sheets with parchment. Whisk the flour, baking soda, and salt together in a bowl and set aside. Zest the 3 grapefruit and add it to your mixer bowl with the sugar. Using your mixer, a spoon, or your fingers (your hands will smell awesome for hours! ), really work the zest into the sugar for a couple of minutes - this releases the oils and flavors the sugar. I put the mixer on medium and let it do the work while I'm gathering the other ingredients. Remove 1/2 cup of the grapefruit sugar and place onto a a small shallow dish - you'll use this to coat the sugar cookie balls before baking. Add the butter to the remaining sugar and cream for 3-4 minutes until light and fluffy. Juice 1/2 of the grapefruit - you'll end up with ~1/3 cup juice. Put the juice into a small sauce pan over high heat and reduce to 1 Tbsp of liquid. Remove from heat and swirl for a minute or two to bring closer to room temperature. Add the grapefruit reduction to the butter mixture and mix. Scrape down the bowl and add the two eggs until well blended. Add the dry ingredients and mix for 30-60 seconds on medium-high. Scoop the dough into balls and drop into the reserved grapefruit sugar, rolling and tapping off any excess. Place 8 cookies on each lined baking sheet and refrigerate the dough balls for 15 minutes. (I actually scoop it all at once, onto two plastic wrap-covered plates to get it over with). Bake for 10 minutes - the edges should be light brown and the centers will look pale and barely set - this is perfect. Leave the cookies on the pan to cool for 5 minutes and then transfer to a rack to cool completely. Store cookies in zipper bags for... I don't know. 5-7 days? They just never last that long around here. These are perfect for my dad, the grapefruit fiend. Merry Christmas, indeed. Thanks! 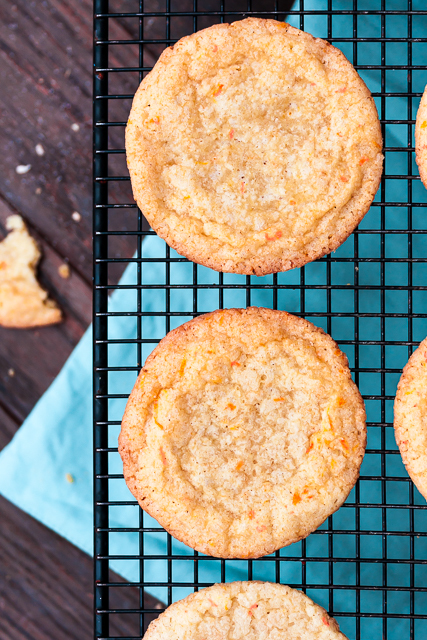 I love the non-traditional grapefruit component to a simple sugar cookie. These look amazing and delish too! I hope you have a Merry Christmas Shawnda! 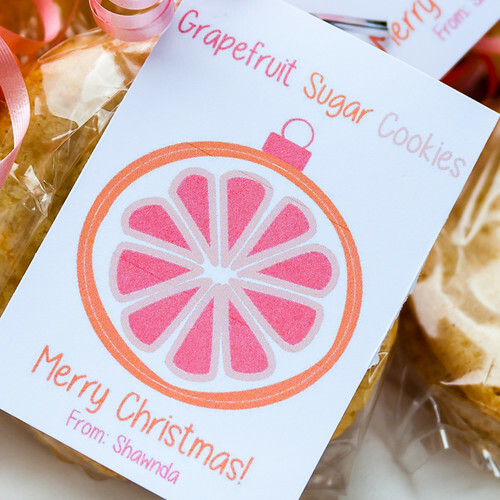 I love the flavor of grapefruit so I definitely will be baking these cookies up. Thank you. 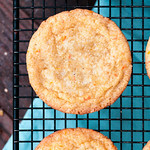 My favorite cookies EVER are sugar cookies with a lime infusion, but I think that this grapefruit version could totally top them because I am WAY more of a grapefruit lover! We made these cookies last week, they are incredibly delicious! The zesting takes some time, but it’s a labor of love. The tart flavor of grapefruit and the sweetness of the sugar really compliment each other and the citrus taste lingers on your tongue. Everyone I gave them to loved them. Thank you for this recipe! Yum!